Here Is How To Fix Nova Agent Not Working After Running Upgrade or Automated System Restart. It is nothing but again creating symlinks. Previously, we wrote about Nova-Agent and explained that Nova Agent and se-linux-distribution must run at boot for proper function. Here is Fix Nova Agent Not Working. So if two functions – automatic image backup and Rackspace Cloud monitoring tool is not working, this is possibly for problem with both nova-agent and xe-linux-distribution. you can can not see nova-agent and se-linux-distribution. The above command is an excellent example of using unix pipe. Which Run level (that is usually /etc/rc2.d in Ubuntu), we do not know. You can read about run level at Debian or CentOS wiki, in case deb Linux, it is usually the directory from rc2 to rc5. On FTP, you can view the file. But, do not do anything right at this moment from FTP. Touching rc0 can be dangerous. Take that you the command changed directory to /etc/rc2.d. d means Daemon. On FTP, if you view these files, you’ll see that; the old links either are not looking like normal symlinked directories or not present. you can create a directory named .old from FTP and move the not properly working old files or simply can delete them from command line. There is a read me file, you can read it. 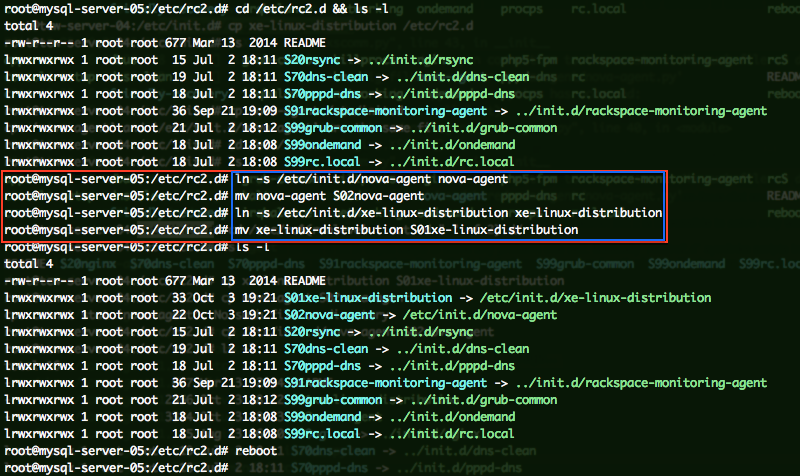 you should reboot and check the nova-agent and se-linux-distribution related services. They should be working rightly. You should not touch anything on /etc/init.d. On FTP, you will, after a refresh, these new two are looking like the others. This Article Has Been Shared 8771 Times! Private cloud in the business is offered by various bigger web hosting or Cloud Service Providers. But, when and why a Business will seek for Private Cloud? Essential Online Testing Tools For Server and Domain are quite useful during propagation and also for checking pitfalls of server or to compare better setup. Cloud does not solve all the problems, unfortunately this real truth is not quite clear to a portion.Defect in web design will always render the website slower. Cite this article as: Abhishek Ghosh, "Fix Nova Agent Not Working ( Rackspace Cloud, Ubuntu )," in The Customize Windows, October 4, 2014, April 26, 2019, https://thecustomizewindows.com/2014/10/fix-nova-agent-working-rackspace-cloud-ubuntu/.